I consider myself very lucky. As a boy not only did I live in areas that were stuffed with wildlife, my parents, and father especially, took time to point out the natural world and I grew up being very aware of the abundance of life around me. Some of my earliest memories are of foxes in our Cotswold garden and I vividly remember my dad going off to watch the badgers in the magical dark woods behind our house. I spent countless days at the riversides in Oxford, running through woods and rummaging in ditches and hedgerows in Sussex foraging for nature’s bounty. My first encounters with a camera still raise a laugh between family members. I don’t remember the make and model other than it being a cheapish point and shoot film camera. I would come back from holidays in Cornwall with films full of pictures of the sea, I was a boy obsessed. Who comes home with pictures of “massive lugworm casts” from Mousehole and proudly shows them to their 13 year old friends? I always wanted to be able to share the beauty of the natural world with those who weren’t lucky enough to see it the way I do and the digital revolution has finally allowed me, like many others, to be able to do just that. Picking up my first Digital SLR (a Nikon D50) in early 2006 led me to the start of a learning curve that I have been steadily travelling since that day. It’s an incredibly fulfilling journey and I often look back at my early attempts to remind myself how far I’ve come in just a few years. Being a bit obsessive, I have to throw myself right in and learn as much as I can and the wealth of help, advice and likeminded nature lovers on the internet has proved invaluable. I now live with my wife in the northern Highlands of Scotland after moving up here from Hastings in November 2017. We have started a new chapter of our lives and are still getting used to living in a new location. We have a much larger garden to “play with” and I’ll be encouraging as much wildlife as I can. I feel my photography is on a threshold. I have just started submitting to national and international competitions and though I am my harshest critic, feel that my work has reached a quality that I am happy to share with others. I would love to have work published and will be working towards this in the future. What better way to share my passion? A big thank you to those who have offered help, advice, support and praise, on my journey so far. Talking of passions, I guess if you are still reading this then we have some in common and I invite you to browse the galleries, enjoy my photographs and should you happen upon me in the wild, don’t be shy, say hello and share a moment. 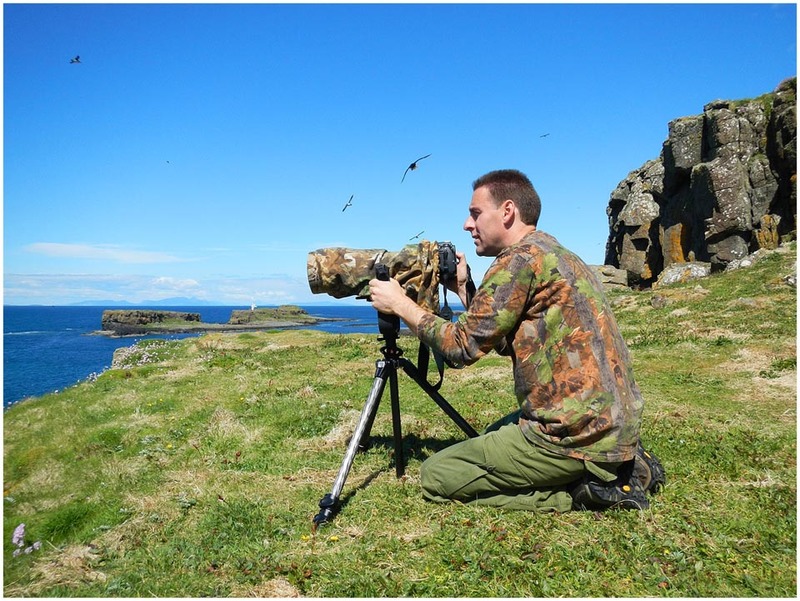 Various waterproof lens covers and neoprene protection all from Wildlife Watching Supplies.